In a box mods there are two types, one called mechanical mods and the other called ADVANCED PERSONAL VAPORIZERS (AVPS) mods. In a box mods whichever type you choose from have the main purpose of delivering high voltage or amps or both to produce massive vapor clouds and longer battery range. Mechanical mod is a unregulated device meaning there is no circuit in the mod to keep the voltage steady throughout the battery charge. As it is running directly off the battery you can’t increase or decrease the voltage or amps. The vapor created will slowly become weaker over the lifespan of the battery charge. 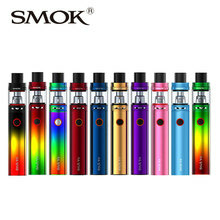 In a box mods which is very basic device has an extra range of battery power to handle more amp to handle hungry and customized tanks producing heavy vapor clouds. This kind of mods are usually used by heavy vapors who want longer raw battery voltage and more amps for their tanks. As there is no circuitry to rely on, the mods are very stable to use and are dependable. This kind of mods are highly used when using rebuildable atomizers and the more experience vapor. The most common and simplest type of mechanical mod out there are tube-shaped and generally, hold only a single 18650 battery. 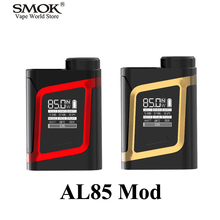 Both types of mods have the capability to use rechargeable 18650 batteries, sometimes there are mods which use 2 battery to double the voltage, these mods are called Series Mechanical Box Mods. Parallel box mods are just like the series mods, but opposite. Instead of doubling the voltage, you’ll now be doubling the battery life and the amperage. A AVPS mod is a regulated box mod comes with a circuitry and several types of built-in protection mechanisms, such as short-circuit protection, overheating protection, over-discharge protection etc. 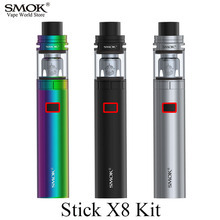 Most AVPS mods have variable voltage, variable wattage, atomizer coil ohms value reading, battery life information and have a LCD screen to show information. 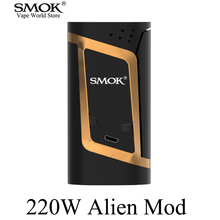 AVPS mods offer a constant supply of wattage/voltage, however, due to limitations of technology, they don’t offer as much power or customization as unregulated mechanism mods. So is in a box mods that offers the best of both worlds? The answer is regulated box mods with temperature control that allow you to vape at extremely low resistance levels and also offer somewhat same vaping experience as mechanical mods. A temperature control mods work like your car’s cruise control, by allowing you to pre-set a value in Celsius / Fahrenheit, your coil won’t exceed this limit, no matter how long a drag you take. If you have any comments or questions please post them below. Thank you for reading my post, I hope that you understood Whats in a box mods? Wow I never knew what the differences were! Thank you it’s confusing! Is there a real difference between vaping and smoking? I mean, is vaping healthier?